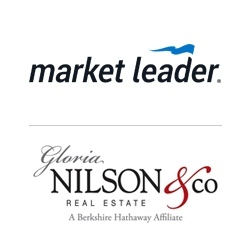 Market Leader, a pioneer in sales and marketing technology for the real estate industry, has announced the release of a major upgrade to its industry-leading marketing platform, Sharper Agent, launching with prominent HomeServices of America subsidiary, Gloria Nilson & Co. Real Estate. Sharper Agent hasprovided marketing tools for Gloria Nilson & Co. Real Estate since 2013 and is delighted to offer the enhanced version of Sharper Agent to all 700 Gloria Nilson & Co. associates. First launched in 2001, Sharper Agent features thousands of professionally-designed templates, automated campaigns, and a robust marketing center. The Sharper Agent suite of marketing tools and features have expanded to include MLS integrations with customizable listing designs, automated listings marketing tools, integrations with new third-party lead sources, as well as an entirely new user experience. A pioneer in lead generation, CRM systems, and marketing software, Market Leader and Sharper Agentprovide innovative online technology-based sales and marketing solutions for the real estate industry. 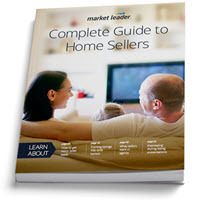 Since 1999, Market Leader has helped hundreds of thousands of real estate professionals succeed and grow their businesses. Today, Market Leader serves more than 250,000 agents, teams, brokerages, and franchises across the United States and Canada. Gloria Nilson & Co. Real Estate is a Berkshire Hathaway Affiliate and a wholly owned subsidiary of HomeServices of America. Gloria Nilson & Co. has serviced the most discerning buyers and sellers of residential real estate in New Jersey for more than 40 years. With more than 700 sales associates throughout New Jersey and in Bucks County, Pa., Gloria Nilson & Co. is an exclusive affiliate of Christie’s International Real Estate in Mercer, Monmouth, Ocean, Southern Hunterdon and Southern Middlesex counties. Along with award-winning luxury lifestyle magazine, Gloria Nilson & Co. offers clients and associates the most cutting-edge marketing services globally and locally. For additional information, please visit http://www.glorianilson.com. More information about HomeServices is available at http://www.homeservices.com.